There's still time to participate in Color Challenge 54! Remember, you don't have to have the EXACT colors to play. Just use colors inspired by the ones you see below. This challenge features bold colors to inspire you — Smooth White, Orange Fizz, Boysenberry, and Gumdrop Green. 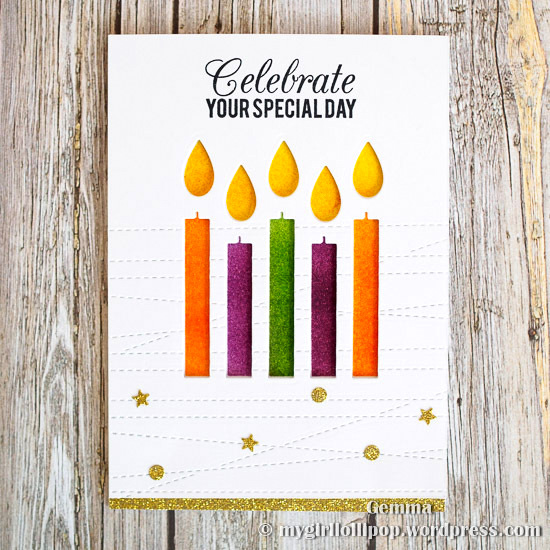 Colorful birthday candles are always a win, and Gemma C.'s card for Color Challenge 54 is bright and festive. 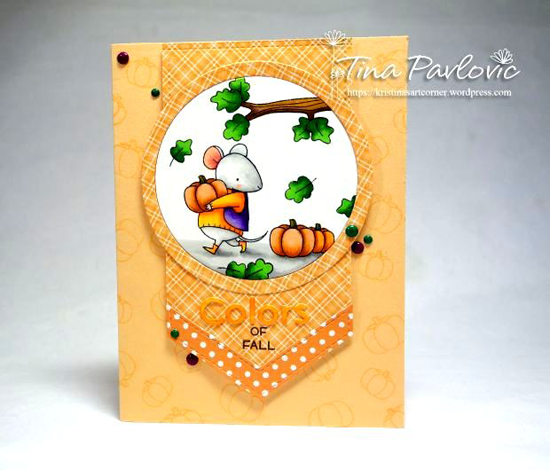 Kristina Pavlovic stuck mainly to the white, orange, and green of this color combination but added a vibrant purple vest to the little guy from the Harvest Mouse stamp set. Such a cozy design she's created!